The mortgage market is one of the cornerstones of the U.S. economy. After all, the majority of homes and related properties are bought and funded by mortgage loans. And as we saw in the run up of the property markets in the 2000’s, mortgages can fund rampant expansion to the point of a bubble. When that bubble burst starting in 2007, it caused drastic harm to the economy and the general stock market. Mortgages are originated by banks and brokers. And in turn they are either held and owned by banks and investment companies or they are packaged together to become bonds known as mortgage-backed securities (MBS). MBS are in turn bought by insurance companies, pension funds and investment companies. 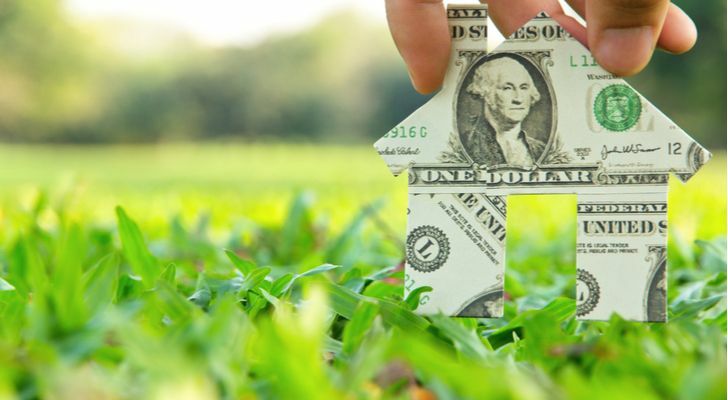 These investors if they’re smart and disciplined, pour through the underlying mortgages to determine what’s happening for the collateral of the homes as well as the payment of interest and principal. And as investors sort through their MBS portfolios, they also project what the collateral values will do and what borrowers will do, including refinancing, paying them off and moving or heaven forbid, defaulting. If they aren’t smart and disciplined, then they might just go along with rating agencies’ reviews and traders’ recommendations. This is a recipe for disaster as we all saw in the 2007-2008 financial crisis. One of the best in the business of investing and managing MBS is MFA Financial (NYSE:MFA). MFA is structured as a real estate investment trust (REIT). As such, it holds mortgage investments instead of properties and avoids corporate income taxes by paying the majority of its income to shareholders just like any other REIT. The company continues to generate a positive return that dwarfs those of traditional lenders with a return on assets of 2.9% against lending banks with returns on assets in the 1% range. And the return on shareholder’s equity is also healthy at 10%. Then, despite the intensive skill levels of management overseeing its MBS portfolio, MFA Financial’s general- and administrative-expense-ratio-to-operating-income is at a low rate of 27.16%, and it has continued to improve over the past four years by some 37.42%. The dividends behind MFA stock are paid quarterly from cash flows from its MBS portfolios and the underlying mortgages. And at a steady 20-cents-per-quarter, MFA stock generates a yield of 10.52%. Yes, that’s a big yield. But the company has a proven record of turning in profitability and paying the majority of that profitability to shareholders as a REIT. If there’s anything that could go wrong with MFA Financial, it would be due to a failure in management. But that is unlikely, as MFA’s management is skilled and has a proven track record dating back to MFA’s public debut in 1998. But shocks to the mortgage market, including a major spike in U.S. interest rates or a major fall in real estate values would impact the company. But since it has been tested by these conditions to the extreme, it should weather these threats going forward. MFA stock is also a bargain. Trading at just 1.01 times the book of MBS assets, the shares represent a bargain, not just for the current value of the mortgages, but for how they are managed by MFA. So, a great company with an impressive portfolio paying an ample yield even in challenging market times makes for a strong high-yielding dividend buy. Neil George is the editor for Profitable Investing. As of this writing, he did not hold a position in any of the aforementioned securities. Article printed from InvestorPlace Media, https://investorplace.com/2018/08/mfa-stock-still-offers-a-safe-double-digit-dividend-yield/.